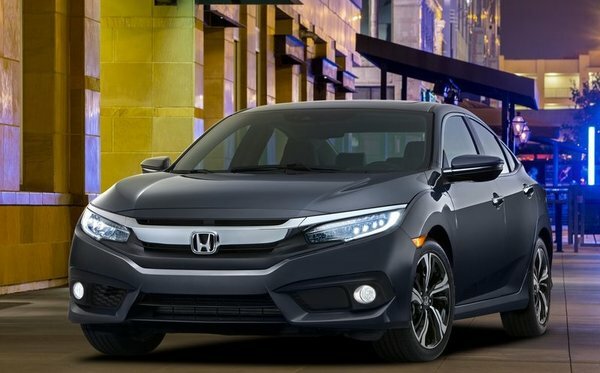 After ten generations, the Honda Civic is still the best compact car on the market, as well as the most popular car in Canada. The completely remodelled 2016 Honda Civic is here, and it packs a pair of new engines, new features and great new styling characteristics. It is more equipped and more refined than ever before. For the first time, Canada’s best-selling car will be available with Honda Sensing technology. Four well equipped versions are offered in 2016: the DX (starting at $15,990), the LX (starting at $18,890), the EX (starting at $22,590), the EX-T (starting at $24,990) and the fully loaded Touring version (starting at $26,990). The DX, LX and EX trims are now powered by a new i–VTEC, 4-cyl 2.0 L engine. But the EX-T and Touring models get a brand new, turbocharged 1.5 L 4-cyl engine under the hood. A choice of two transmissions is offered, a manual transmission and a CVT transmission. The CVT transmission offers outstanding fuel mileage; on models equipped with the 1.5 L, the fuel consumption is 7.6 l/ 100 km in the city and 5.5 l/ 100km on the highway. The models powered by the 2.0 L coupled with the CVT offer a fuel consumption of 7.8 l/ 100 km in the city and 5.8 l/ 100km on the highway. The new design of the 2016 Civic is remarkable. The superb projector-beam halogen headlights give the DX, LX, EX and EX-T versions a very distinguished look. But the Touring variant gets even more stylish with LED headlights (high and low beam). The 2016 Civic is larger and stiffer, but has lost 31 kg in weight. It is now more agile, with a new multi-link independent rear suspension, larger stabilizer bars with bonded bushings and rigid aluminum rear damper brackets. The dual-pinion electric power steering ensures precise manoeuvrability, and the EX, EX-T and Touring versions are outfitted with a standard power moonroof with tilt feature. The cabin of the 2016 Honda Civic is the most spacious cabin in the compact segment. The interior also gets premium materials and starting with the LX model a colour TFT centre meter display with Driver Information Interface. The Honda Sensing-equipped variants come with adaptive cruise control with low-speed follow and other driver-assist technologies. Finally, all variants come with LED taillights, HandsFreeLink-bilingual Bluetooth wireless mobile phone interface, immobilizer theft-deterrent system, one-touch turn signals as well as the Maintenance Minder system. After ten generations, the Honda Civic is still the best compact car on the market, as well as the most popular car in Canada. It offers unrivalled quality and performance in an affordable package and is backed by the indisputable Honda reliability. 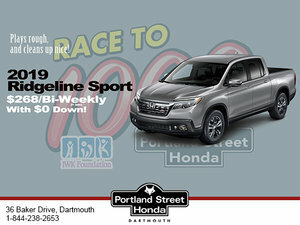 Come and see us at Portland street Honda and test drive the new 2016 Honda Civic.